Measuring 16.4 ft by 5 ft, weighing 2.5 tons, Apis Cor can be assembled within 30 minutes, and its transportation cost and setup are not high. The site preparation and testing before use are minimal. 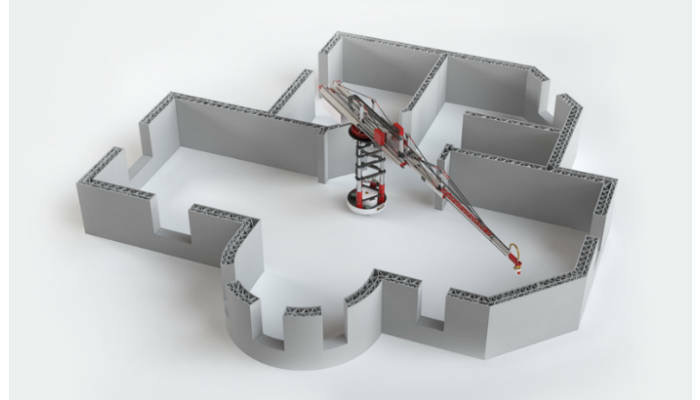 The gadget is created on the new principle different from the other machines: it doesn’t require cumbersome railings, because it’s not moving around the site. The Apis Cor can print on the area of up to 630 square feet and on any height, using a swiveling extruder head that provides two plane printing at a single time. Very low energy consumption and no construction waste make this 3D printer eco-friendly and efficient to the builders as well as to the future homeowners. Several investors from China, South Korea and the Arab Emirates are said to be interested in the Apis Cor, implementing this cutting-edge technology in present-day construction. This entry was posted on Tuesday, October 13th, 2015 at 2:04 am	and is filed under 3D, printing, technology. "Epson Workforce Pro With No Warm Up Time"
"Dell’s New S-Series And H-Series Laser Printers"